DJ Benji Rich, aka Benji Tankard, CEO & Founder of Pure Entertainment, USA, and star on Bravo TV’s hit show, Thicker Than Water, is pleased to announce the kick-off of Nashville DJ Truck. The mobile live music truck will be the first silent disco truck of its kind in the US. 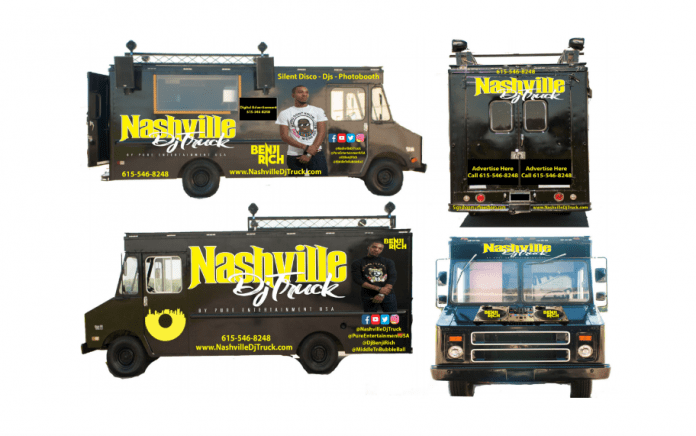 Mr. Tankard is stated that for the kick-off event scheduled for June 1, 2017, the Nashville DJ Truck will partner with the Nashville Scene’s “Movie in the Park” and feature a June artist showcase special. During “Movie in the Park” the mobile DJ truck will promote independent artists’ hit singles and local businesses for a fee. The “Movie in the Park” event draws between 4,000 to 5,000 each week in June and is attended by families, college students and seniors from Nashville as well as tourist. 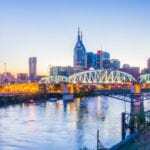 Each artist or business will get a custom commercial drop and their music played at all local venues around Nashville such as Lime Light, The Hard Rock Café, BridgeStone Arena, The Municipal Auditorium, and others. Recording artist’s single artwork will also be displayed on TV monitors outside of the Nashville DJ Truck during airplay. There are monthly and annual advertisement slots for recording artists and businesses for this event and silent events scheduled for the Metropolitan Nashville area as well as cities within a 150 miles radius. To book your artists, secure advertisement for your business, or to get more information, call Pure Entertainment, USA at 615.546.8248, email Nashvilledjtruck@gmail.com or go to www.NashvilleDjTruck.com.